At the years 2016’s British Academy Games Awards or BAFTAs, the Fallout 4 game created by Bethesda has won the best game of the and well deservedly fought off close rivals such as Metal Gear Solid 5, Rocket League, Everybody’s Gone to the Rapture and Life is Strange and The Witcher 3. 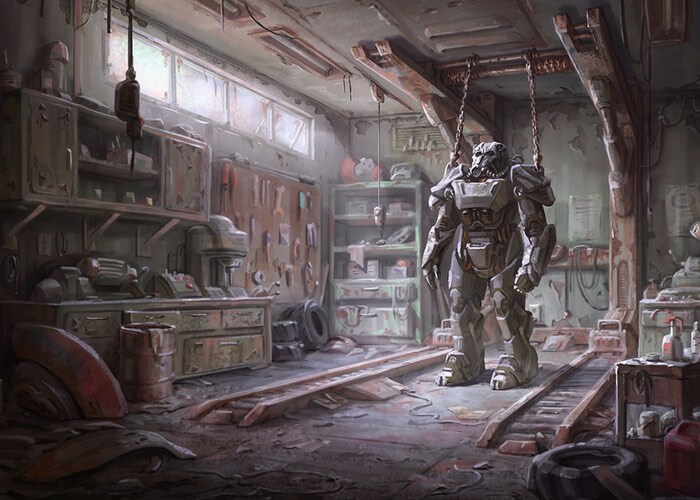 The Fallout 4 video game is an action-focused RPG that is set Boston after a nuclear war has struck and provides players with hundreds of hours of storyline to explore. Similar to last years winner Destiny created by Bungie, Fallout 4 had not won any prize in any of the other categories. I’m genuinely humbled to receive this on behalf of Todd Howard and Bethesda Game Studios. – You don’t have to have the multi-million dollar budgets to make great games – I’ve seen a huge amount of evidence for that tonight. Also in the award ceremony Everybody’s Gone to the Rapture was nominated 10 times across nine categories and walked away with three for game innovation, music and performer. But even after being tipped for the top prize was beaten to the position by Fallout 4. For more details on the award-winning Fallout 4 game jump over to the official website for more details and to purchase to play on Xbox One, PlayStation 4 and PC.